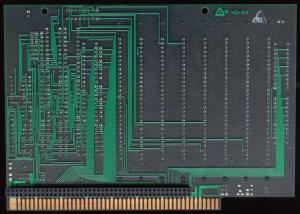 This RAM expansion is designed for use as a stand-alone Zorro II card, or it can be piggybacked to the Dataflyer 500 or Dataflyer (PLUS). Please note that the Dataflyer 500 and the Dataflyer (PLUS) are exactly the same product, the Dataflyer 500 is actually the Dataflyer (PLUS) mounted in a case suitable for connection to the side expansion slot of the A500 (or A1000). 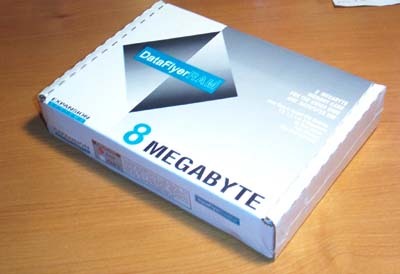 The version of the Dataflyer must be at least "Dataflyer PLUS V1.0" to support piggybacking. Earlier versions such as "Dataflyer V1.2" (Note the missing PLUS designation) cannot be used in this way. The advantage of piggybacking the RAM card to the Dataflyer instead of using it as as a Zorro II card is that you will save a Zorro II slot, however you may have to use a Zorro slot at the end, for clearance reasons. The only way to attach this RAM card to the Dataflyer when used with an A500 is by piggybacking. 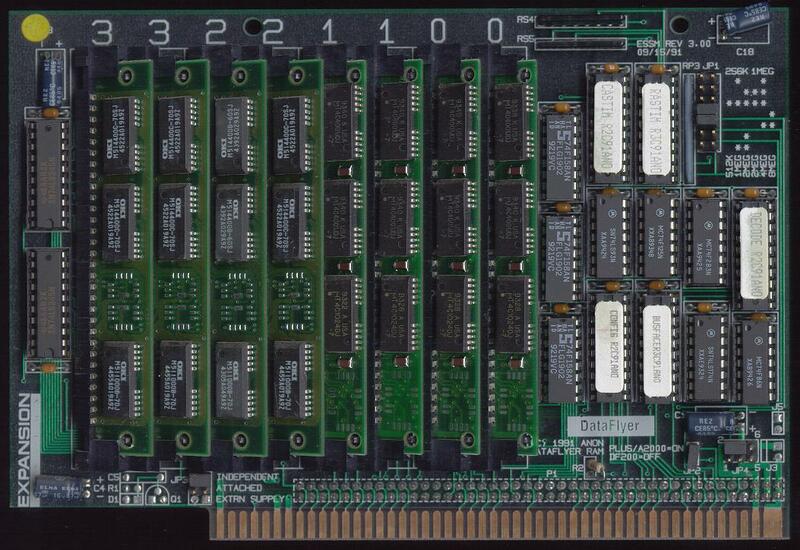 All versions of the dataflyer support piggybacking when used with the A500. Page contributors: Anthony Fox, Christopher Smith, Mario Misic, Ron Mascaro, Steve Geary.